As the popular saying goes - when the cat is away, the mice will play. That is probably what this pet parrot had in mind when he ordered a ton of goodies from e-commerce website Amazon while his owner was away. 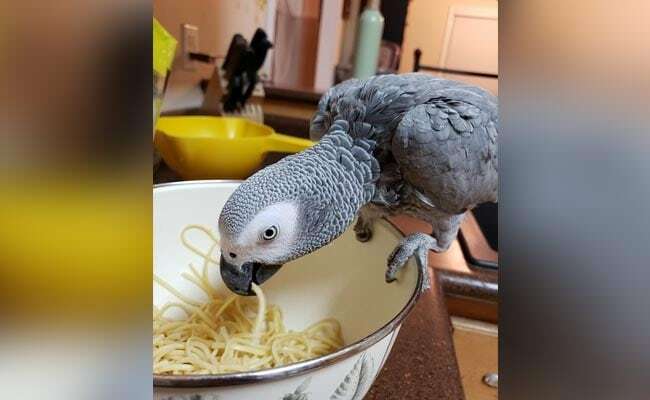 Rocco, an African grey parrot, used his owner's Amazon Alexa device to order a range of his favourite snacks including watermelons, raisins, broccoli and ice cream, along with a light bulb and a kite, reports BBC. African grey parrots are famous for their ability to mimic speech. Rocco's owner Marion Wischnewski told the Daily Mail that she was shocked when she saw what he had done. "I have to check the shopping list when I come in from work and cancel all the items he's ordered," she said. This is not the first time that the parrot has gotten into trouble for his antics. BBC reports that Rocco was re-homed from the National Animal Welfare Trust sanctuary in Berkshire because staff thought his foul language might upset visitors. "I've come home before and he has romantic music playing," Ms Wischnewski said. "He loves to dance and has the sweetest personality."